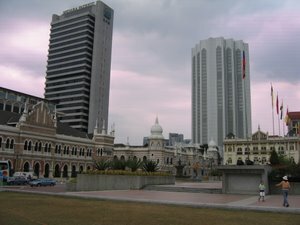 Malaysia is located a few degrees north of the Equator and is one of the South East Asia nations. The climate over here is of equatorial type in which the temperature is quite uniform throughout the year with temperature ranging from 21 °C to 34 °C. The humidity is consistently in the region of 75% to 80% throughout the year with a rainfall annual average of around 200 cm (80 in) to 300 cm (120 in). The days are usually warm while the nights and the early mornings are fairly cool. The Peninsular Malaysia is affected by the monsoon winds that blows from South China Sea and the Straits of Malacca. The northeast monsoon blows the wind from South China Sea from November to March and this is the time when the east coast states have heavy rainfall. Sea activities at this time are very much confined and the main activities at this time is usually the maintenance of boats and fishing related equipment as well as kite flying. Hence, most of the resorts in Pulau Redang, Pulau Tioman, Pulau Perhentian, Pulau Lang Tengah, Pulau Kapas, Pulau Sibu, Pulau Aur, Pulau Dayang at the east coast of Peninsular Malaysia is closed from Nov to Jan/Feb every year. The west coast of Peninsular Malaysia states are influenced by the southwest monsoon that blows the wind from the Straits of Malacca during the months of May to September. The periods between the monsoons are usully marked by heavy rainfall. The only marine park at the west coast of Peninsular Malaysia, Pulau Payar is opened throughout the year. The mountains have lower temperature range due to their higher altitude and the temperature ranges from 16 °C to 24 °C. If you are not going to the highlands, lightweight cotton clothing and linen are recommended. As rain is quite common in Malaysia, an umbrella will come in handy if you are going out for recreational activities. Get a detailed update of Malaysia Weather from Malaysian Meterological Department.